She daydreams of whipping up sauces and soufflés in her own restaurant. His heart is set on helping foster children. Both dreams are at stake. So are their hearts. With grand plans to open her own bed & breakfast in Chapel Springs, PJ McKinley can’t afford the most crucial part: the brick and mortar. But when the owner of a local historic home announces a contest and promises her property to the worthiest candidate, PJ makes a fervent wish and tosses her name into the hat. Cole Evans is cool, confident, and successful, but he’ll never forget his roots. He’s thankful for how far he’s come and knows his life could have turned out drastically different. If he can win the stately old mansion, he’ll turn it into a home for children aging out of the foster system. 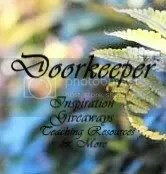 When the eccentric house owner narrows the entries down to only two applicants, she extends the contest, giving PJ and Cole one year to prove which one of them can make the best use of her beloved home. As the pair competes in close proximity, something deeper than rivalry sparks between PJ and Cole. And in this battle, they’re likely to lose their hearts. Who will win The Wishing Mansion contest, the confident and successful Cole, who will never forget his roots and wants to give former foster care kids 18 and over a home, or the restaurant hopeful PJ, who has dreamed of opening up and owning a Bed and Breakfast for years? Denise Hunter will keep you reading in this third book in The Chapel Hill series. This has been such a good and heartwarming series, and I love this third addition to the series! The contest is an amazing event happening, and both PJ and Cole have their heart set on winning. As the battle starts, PJ on the bottom floor of this mansion with her Bed and Breakfast, and Cole on the top floor with this teens with no home, tensions fly! How can an arrangement like this actually work, and for a year at that?!? Ms. Hunter will have you on the edge of your seats as you involve yourself into this wonderful read! I love the tension, the competition, and the attraction between these two very determined young people! This is a book you don’t want to miss. If you haven’t read the first two books in this series, The Wishing Season is ok for a stand alone book. But if you have read the series so far, you will welcome the characters and friends from the first two books. I highly recommend this book for a good clean, and fun read! New from Abingdon Press’ Quilts of Love series | Swept AwaySara doesn’t think she wants love. But her grandmother has other plans.Sara Jane Morgan is trying to balance teaching with caring for her ailing, stubborn grandmother. When school lets out for the summer, the plans are for Grandma to teach Sara Jane to quilt as they finish up the Appalachian Ballad quilt Grandma started as a teenager. But things don’t always go as planned. This is one of the sweetest books I have read in a long time! Sarah Jane Morgan, grandmother are characters I just really enjoyed reading about. Even though Grandma was a busy body and kind of stuck her nose into other people’s business, I loved her! The broom boy Andrew had quite a different business, it made the story more interesting!. And when Grandma hires the broom boy as a handy man, the tension starts to fly because he and Sarah Jane spends more time together! And then there is the quilt, and the story behind it, and the way the broom boy has a part in the finishing of this special project that you just don’t want to miss! I really enjoyed this story and I hope you enjoy it as well! I received this book from Litfuse and Abingdon to read and review. I was not required to write a positive review. The opinions I have expressed are my own. I am disclosing this in accordance with the Federal Trade Commission’s 16 CFR, Part 55. *Laura V. Hilton* is an award-winning author and a professional book reviewer. A stay-at-home mom and home school teacher, Laura lives with her family in Horseshoe Bend, Arkansas. *Cindy Loven* is active in the church and writes from her home in Conway, Arkansas, where she lives with her husband and their son. I love Miss Kay Robertson, and I was happy to be able to read and review this book. This was a mixture of fiction and non fiction, which is different than what I read, but I liked it! The story was interesting and very well kept my attention. For Hunter, spending time at the Robertson’s house was not always easy. 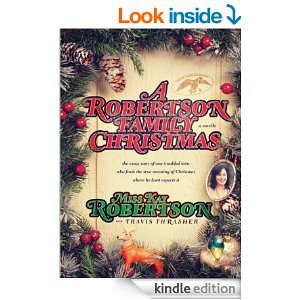 There were many struggles striving to live with these strangers, and the same was with the Robertson family, They struggled with Hunter being in their home during the Christmas Season as well. But as the story goes on, they begin to tolerate one another better, and everyone started enjoying one another’s company! 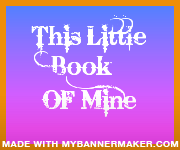 This is a really short story, and can be read in one setting. So I don’t want to give any details to ruin it for you. And I will mention too, this story can be read during the Christmas Holiday Season, or after, either way, you will enjoy this heartwarming story. I received this book from Tyndale House to read and review. I was not required to write a positive review. The opinions I have expressed are my own. I am disclosing this in accordance with the Federal Trade Commission’s 16 CFR, Part 55.